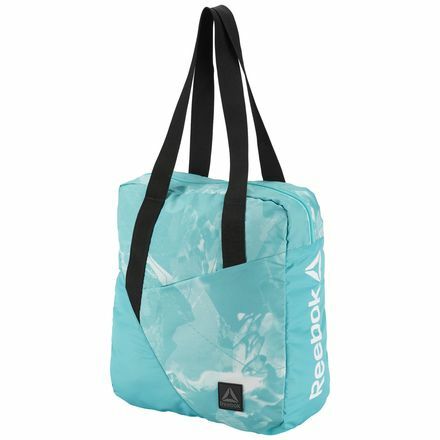 Bag everyday carrying style with this Solid Teal Reebok Women's Training Graphic Print upright Tote Bag in. A top zipper keeps items securely stowed, while two ample straps allow for a balanced, comfortable carry. An all-over tonal pattern brings a fresh new take to the usual neutrals. Material: 100% Polyester, plain weave fabric for lasting use. Best for: Everyday carrying, versatile use, gym commutes. Double straps allow for hand or shoulder carrying. Zippered opening for secure storage. Front pocket for easy access. All-over print design.